Firstly today is Easter Sunday and I would like to say Happy Easter to all our friends who read our blog. 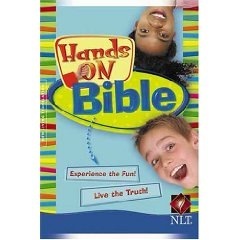 Today I am going to show you a little experiment that I got from the Hands On Bible. I used this experiment to demonstrate to our kids that Jesus is indeed living water and that on Easter Sunday he did explode through the bounds of death. Firstly we read the story of Jesus and the Samaritan woman at the well, in John 4:1-26. In this passage Jesus describes himself as living water. 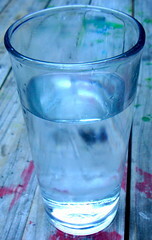 We decided that water is essential to life – people can’t survive more than three days without it, but the sparkling water was bubbly and fizzy and looked like it had a life of its own. Then we read about Jesus’ Resurrection in Luke 23:32 – 24:7. We spoke about how people thought they had contained Jesus’ life by death… and how you can just put the lid back on a sparkling water bottle… But Jesus was exceptional and he exploded through the bounds of death, when on the third day he rose again! 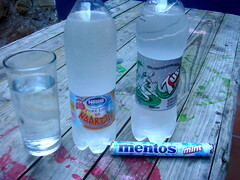 For this part of the experiment you need some soda and mentos. Drop the mentos into the soda bottle and as all the bubbles dash to the sugar coated mint and you should have an impressive explosion. Here is a video showing you how to do it… and I would never link a video if I didn’t think it was worth your while! Really watch this before you try it just so that you have a clear understanding of the project at hand! A glorious festival of mentos and soda fountains – lovely! For us these experiments clearly showed the difference between ordinary water and living water! Have a great Easter Weekend and look out for our Sunday Snippet next week where we will be having our first ever giveaway!!! Next What’s on this Week at Se7en? That sounds like a great experiment & a great resource! Yeah it is a great resource, full of things to do and really interactive things to do to teach biblical lessons and truths! My kids loved this and I don’t think they will forget “living water” quickly!! !